A little over two weeks ago I left the very beautiful Cherry Blossom country of Japan. Myself and two of my regular travel buddies and besties Celiya & Louise started our Japan trip in Osaka. It was the coldest and least things to really see of the three cities we traveled so it was good that we got it out of the way first while we were none the wiser. 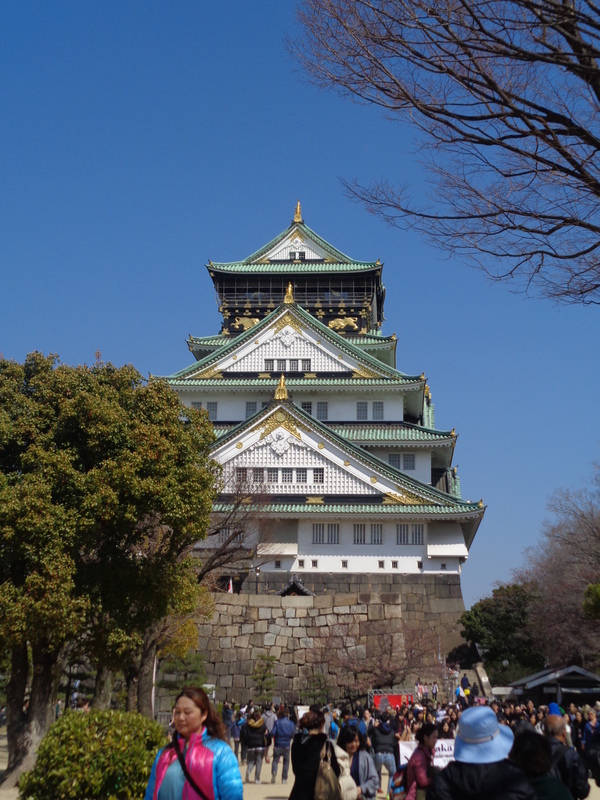 The Osaka Castle was our first sightseeing stop, it was nothing like the castles I had experienced in Europe. Unfortunately on the inside it’s just a museum like any other, I was hoping they would have persevered the interior and made it feel like you were stepping back in time. The view from the top is nice, but not many cherry blossoms were out yet so it looked quite wintery. Afterwards we went to famous eating and shopping district, the hussle and bussle was fantastic, I really enjoyed the vibrancy and also the amount of food to eat. I wasn’t a huge fan of Japanese food but I’ve changed my mind since! 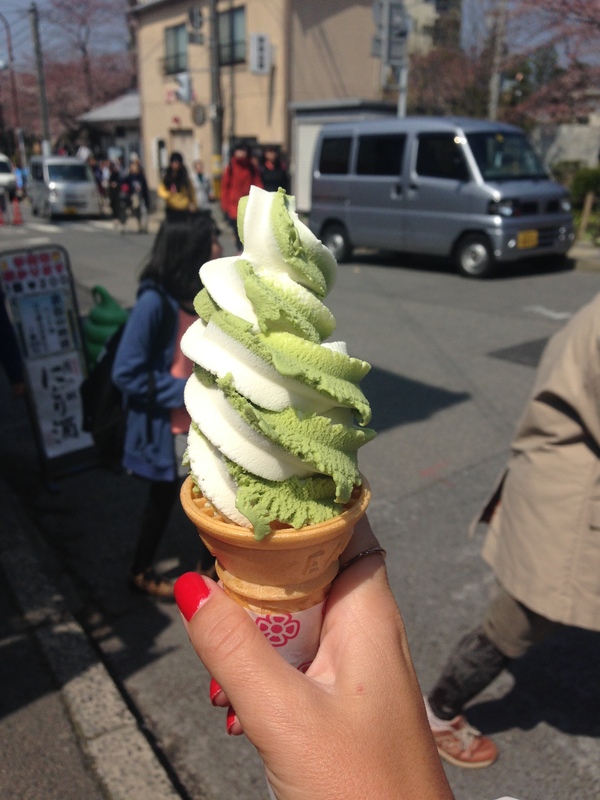 We had some amazing green tea deserts and dinners mainly noodle based. I’ve also discovered green tea chocolate! My favourite is the green tea Kit Kats. I’m not sure why but I’m seeming to be enjoying green tea more in Japan than I ever did in Australia, maybe they brew it differently? Day two saw us at Osaka Tower, this was a major let down haha… I don’t think the tower was much or any taller than Telstra Tower in Canberra and there was nothing special to look at. The city isn’t really beautiful or architecturally amazing. 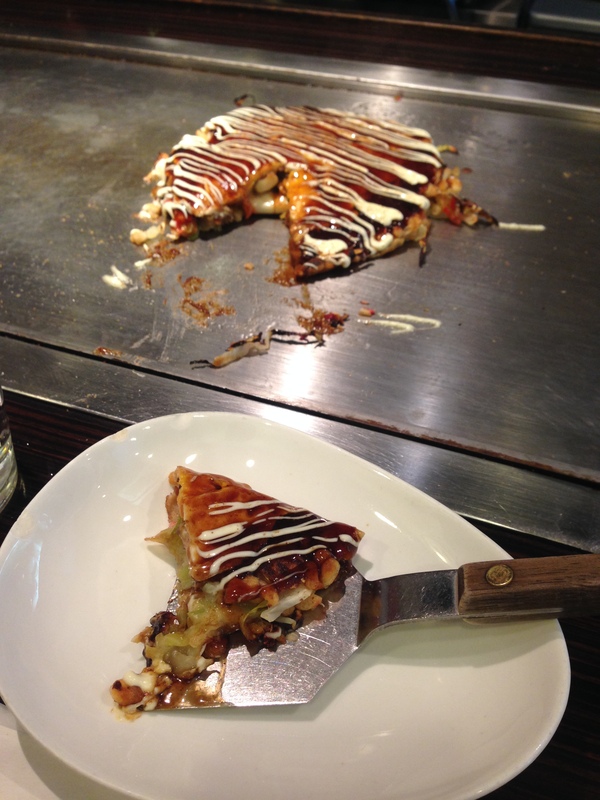 However, it was worth going there for the tepenyaki in this area which we had beforehand and on the way out the Japanese Pancake. My mouth is watering thinking of them. The day improved when we visited the Shitennoji Temple, it wasn’t very crowded so we could have a good look around and climb the steep steps up the temple tower. 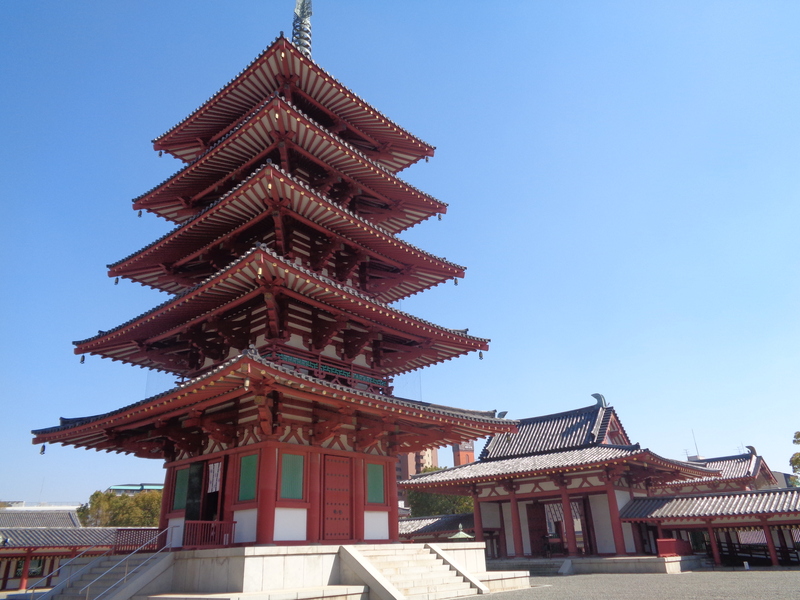 There are some similarities between the architecture of Japanese Buddhist temples to the ones I saw in Thailand. This one isn’t particularly big but a good temple to start off with. 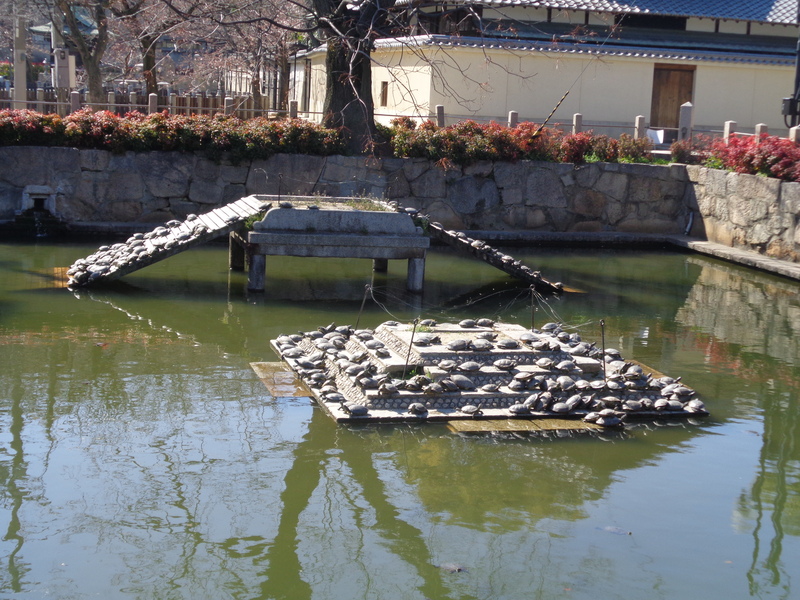 We were mainly amused with the cute Turtle community in the pond outside the temple! We caught the train to Kyoto, the minute you step out of the station you can see it’s such a pretty city, very clean and organised as Japan is very well known for. Immediately we saw girls dressed in their traditional Yukata’s looking like dolls, I felt very frumpy in my jeans and jacket. We stayed in a traditional Japanese style guesthouse. It was so much fun, sleeping on the floor and eating on the floor with little floor chairs (without legs but has back support)! They served us green tea when we came to the room and provided lounge style Yukata’s. The floor bedding was unbelievably comfortable, warm and reminded me of sleep overs. First off we went to the Golden Temple which is about 30 mins by bus from Kyoto city. 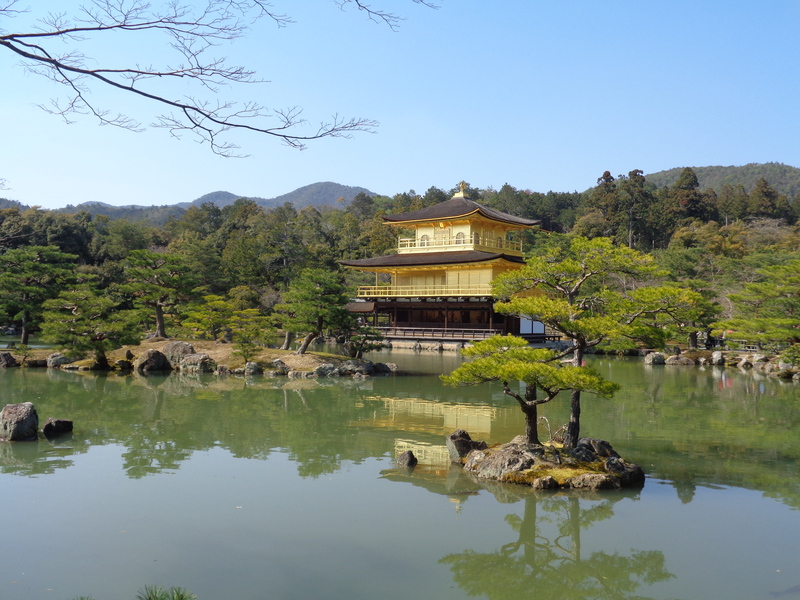 It was just as it’s described, golden and you spot it the minute you enter the temple grounds. Lots of people huddling around to get the best shot, luckily we managed to get a few as well. 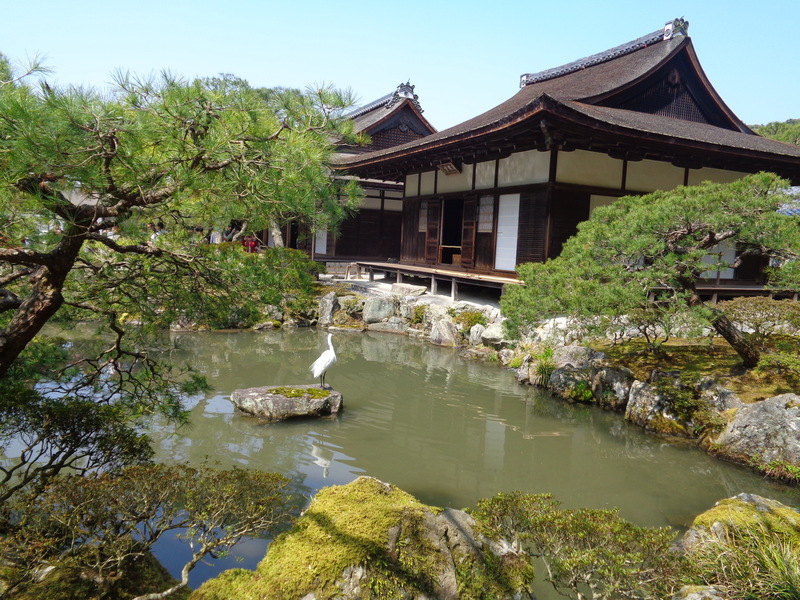 I saw my first Japanese Crane here and they are a funny but beautiful looking bird. They don’t look much like the origami ones I tried to make in primary school haha. We did some browsing around the traditional shopping area and had dins in a traditional restaurant, shoes off and on the floor. This was the worst meal I had while in Japan, very bland and too much sashimi for my liking, typical it was the most expensive as well. The next morning it was rainin, but our hotel provided umbrellas Yay! 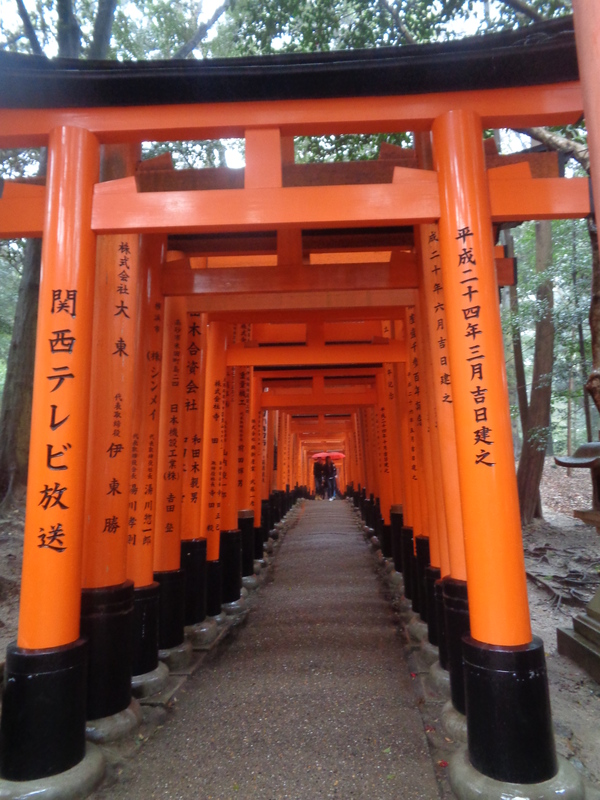 Then off we went to the Fushimi Inari, I had pinned this one on pinterest and it is well worth the hike, even in the rain! It’s absolutely stunning and the most fun since you walk through thousands of orange wooden arches, they did provide some shelter from the rain. You are greeted with a beautiful Cherry Blossom tree on entry and we started to see more cherry blossom from here. It’s quite fun to make a prayer, throw some coins and ring a bell… much more fun than sitting in church and being passed a plate to put money in, but who’s comparing hehe. 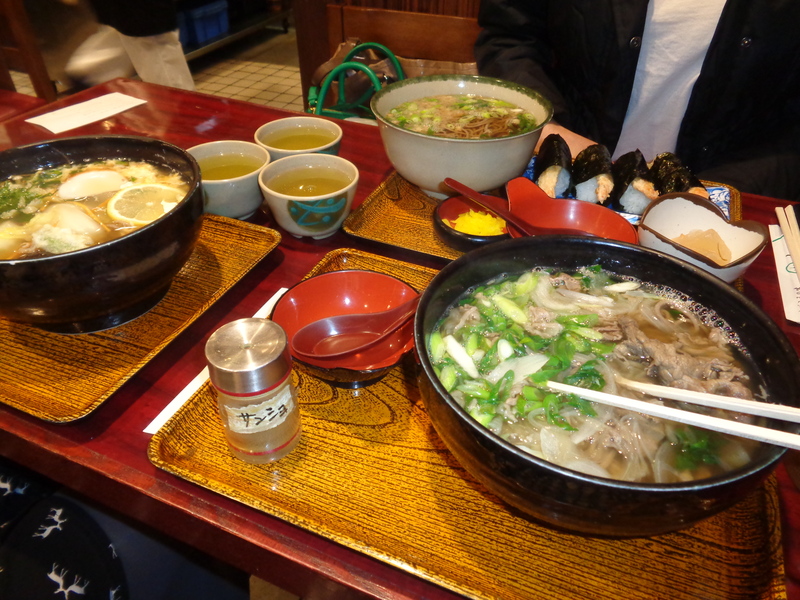 We also discovered food tasting in Kyoto which is much better than Costco haha. 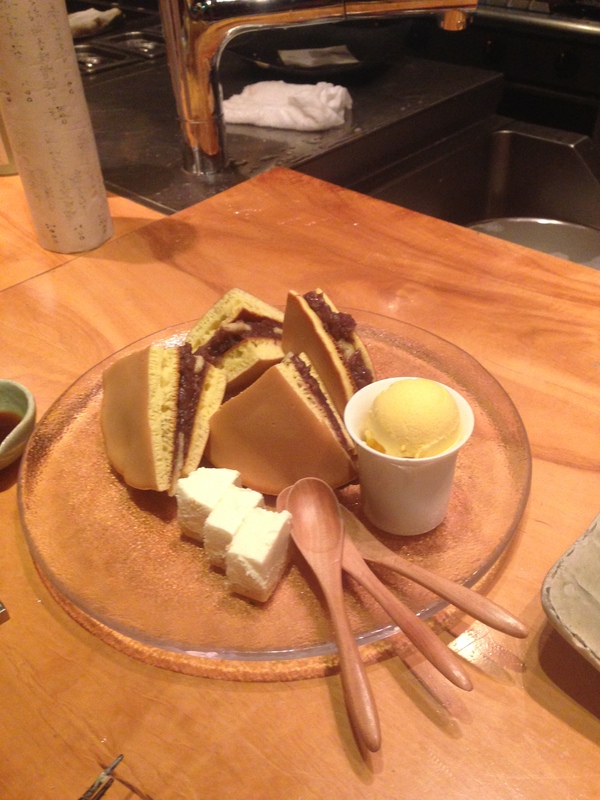 I was trying all sorts of treats and deserts, even green tea and vanilla ice cream! I bought some back with me but Jay has already eaten all the green tea Kit Kats. Lastly we checked out the Silver Temple Ginkaku-ji, this was a much smaller temple but very unique and pretty grounds. 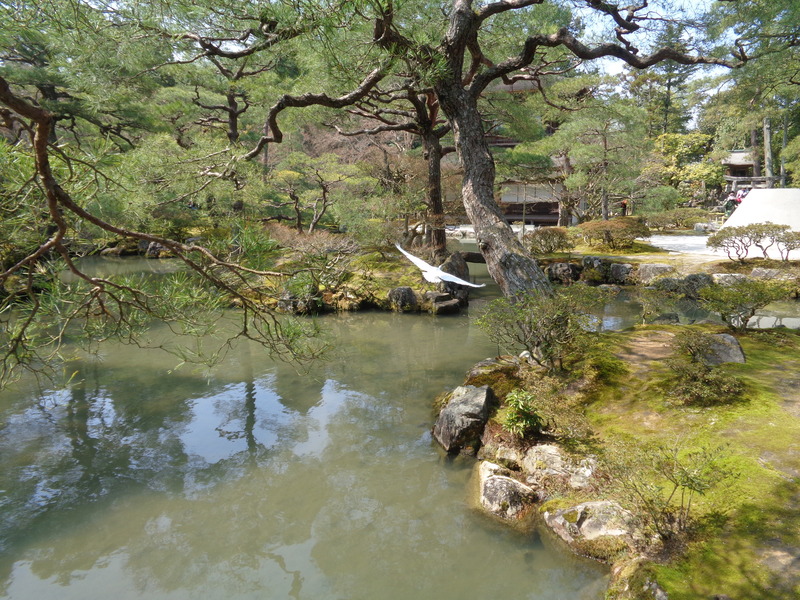 There was another Crane frolicking around the gardens, mini waterfalls and moss like grass. The bullet train to Tokyo was very exciting, we sped past Mt Fuji and were able to take a few pictures, it does look amazing but I’ve heard it’s popular for attempted suicide, so sad! 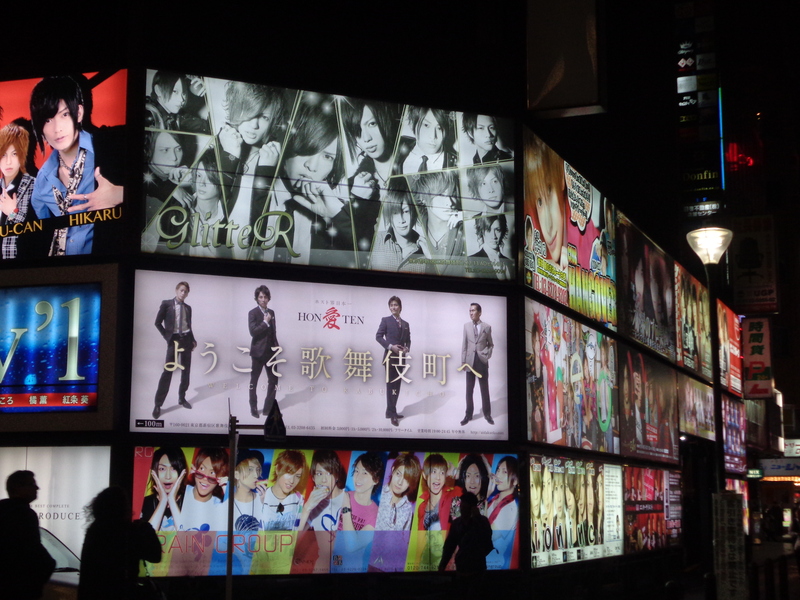 Tokyo is what I expected, big, loud, people, cars, trains, buses everywhere but the chaos is in a somewhat orderly fashion. 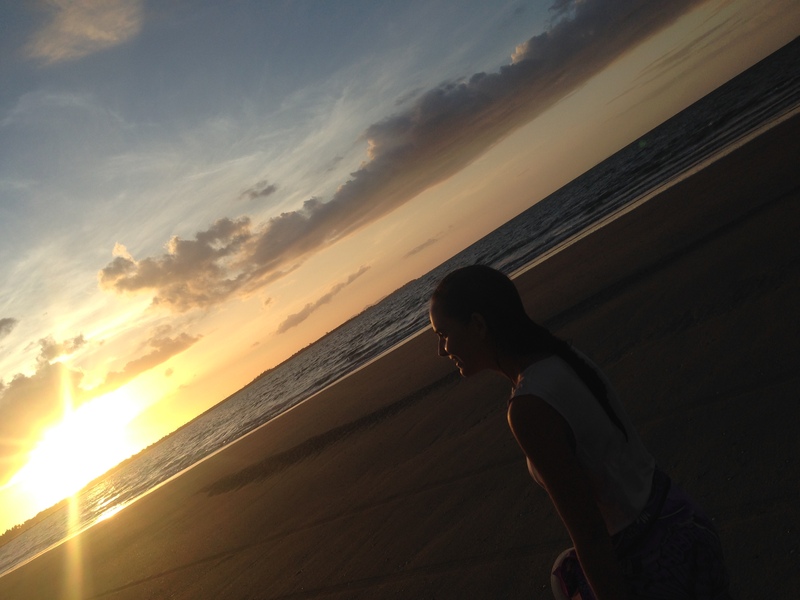 In the main, Japanese people are very nice and helpful. We did come across one B!tch who Celiya was about to ask in Japanese for directions and she just yells “NO, NO”! We were startled by this rude lady and the people she was with also seemed shocked. We were only looking for a restaurant to celebrate Celiya’s bday… Anyway, shortly afterwards we found we’d come out too late for dinner on a Tuesday night, who would have thought a city like Tokyo would have quiet times?! After many helpful restaurant managers who were closing, gave us directions for other Japanese restaurants that were also closing, we thought Maccas could be our only option! Until we stumbled across one, who said kitchen closed in 10 mins, no one spoke English except 2 patrons who helped us with the menu and drinks. 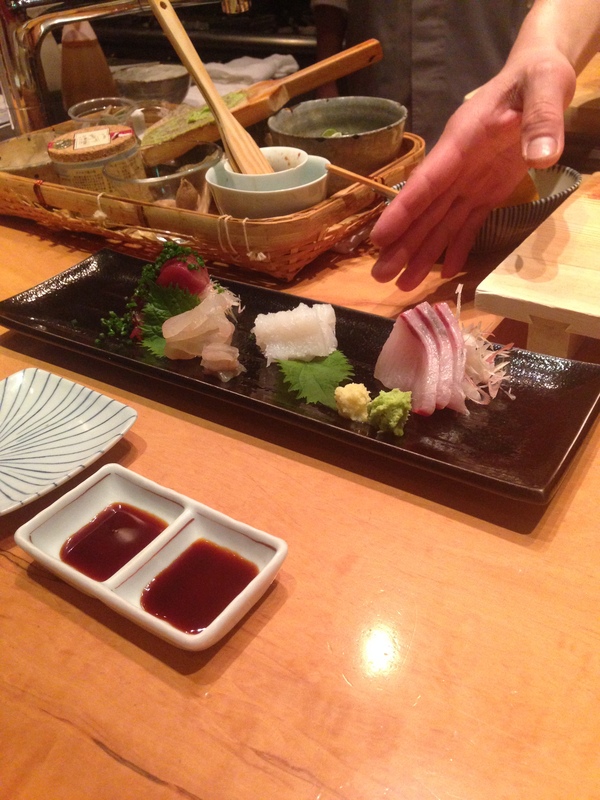 Since we didn’t really know what we ordered I was skeptical how enjoyable this meal would be… I was wrong, it was delicious and prepared right in front of us, I even enjoyed the sashimi yay! The people who helped us over heard our Saki cheers for Celiya’s Bday and ordered some Japanese Cake for us, OMG so nice! 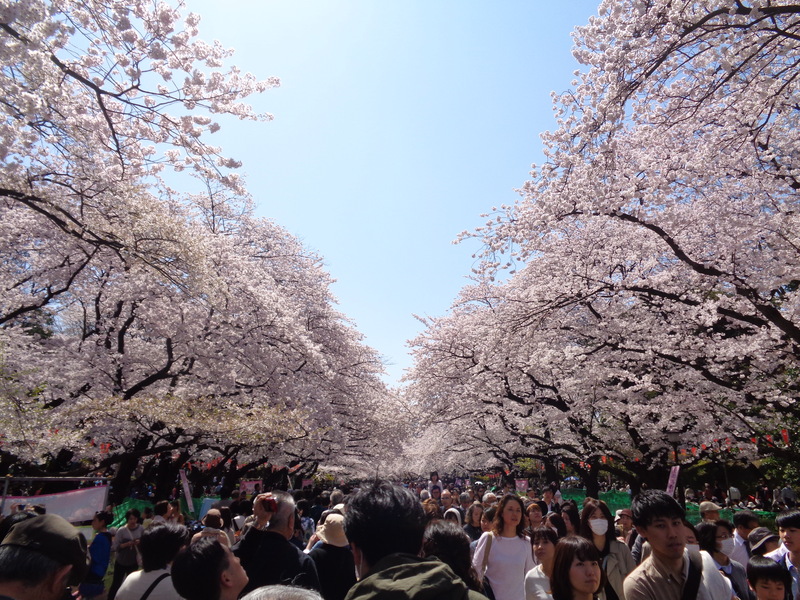 We visited the Ueno Park which was filled with so much Cherry Blossom! I went a bit crazy with Cherry Blossom selfies, the park was filled with people, you have to book to have a picnic under the cherry blossom trees in the heart of the park, and it’s like a cherry blossom tunnel. Spring is definitely the time to see Japan, even if it is still a little cold. After taking a few wrong turns we eventually made it to the Oldest Temple in Tokyo Senso-ji , it was packed full of people, the most busy one I’ve seen but I guess it is in the most populated city in Japan. 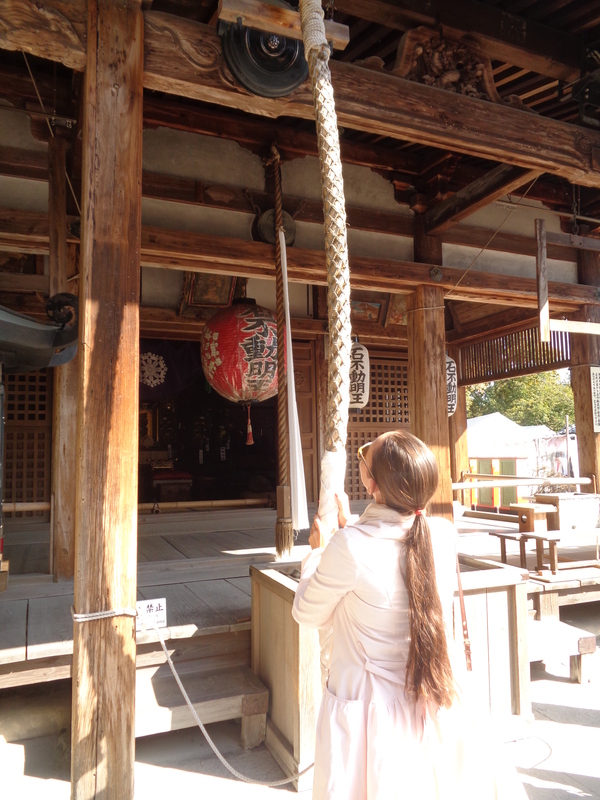 Locals have a soft spot for this temple as it’s the oldest in Tokyo. On the last day we went to Meiji Shrine, there was a bride and groom in traditional wear arriving for a wedding, which was exciting… I’m not sure if it was staged or real, nevertheless cool. Japan was great, except the coffee, buy from the vending machines before a café… my favourite brand was Boss café au late, cos I’m a boss haha.